Before Amanda Nunes blitzed her last night at UFC 232, the closest fearsome Brazilian destroyer Cris Cyborg came to losing against top-level competition was a dominant decision win against Holly Holm last year. Aside from that bout and a career-starting kneebar loss—the sort most strikers have on their record—Cyborg has been an absolute force of nature. She won all 10 of her UFC and Invicta fights, nine of which came by knockout. The seat-warming featherweight champ who preceded Cyborg chose to vacate the belt rather than fight her. There were no feasible challengers in her division. All of which is to say, Nunes’s 51-second knockout performance was easily the moment of last night. If you had to pick one of these women to win with a first-minute knockout, it obviously would have been Cyborg. She was almost as big a favorite as Jon Jones was, and yet Nunes walked through her. 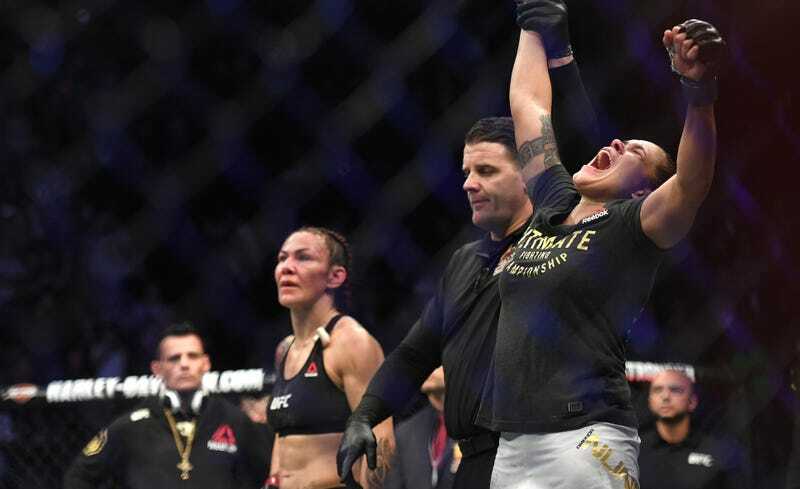 The entire fight was essentially one drawn out exchange, and while Cyborg seemed to get the better of Nunes at the very start, Nunes ended her rival with a flurry of power shots shortly after dropping her with a huge overhand right. It was utter dominance. Nunes is now the first-ever woman to hold two UFC belts simultaneously, and she has an incredibly impressive resume, with first-minute blowouts against Ronda Rousey and Cyborg, as well as an easy submission win over Miesha Tate. No matter what the business child says, she’s a deserving and charismatic champion, and I don’t expect anyone in the current crop of contenders to give her a great deal of trouble, though I’d be down for a rematch that lasts longer than a minute. 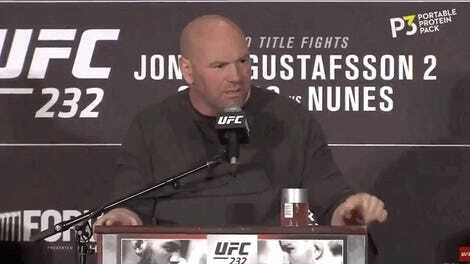 Won&apos;t Someone Please Think Of Dana White?